We have all had to move at some point in our lives. 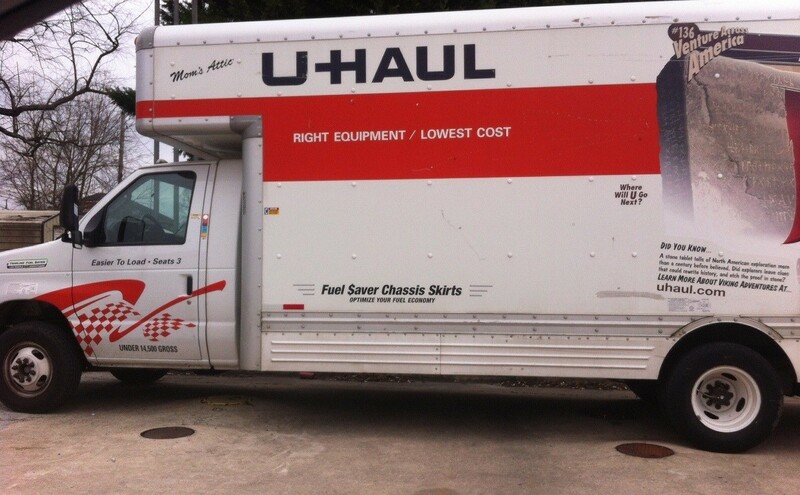 Using a rental truck to move your belongings makes the hassle a little more bearable! Some examples of these companies include: U-Haul, Penske, Budget, Enterprise, and Ryder. I worked for one of these companies and have compiled some tips to help you know what to expect when you rent. You can reserve a truck online, by phone, or in person. You can rent a truck to use locally or for a one-way move, in which you would drop the truck off at a new destination. Many companies offer hand trucks, furniture pads, locks, straps, boxes, and tape to rent or purchase. For personal use, most rental companies offer vans and trucks from 10' to 26'. Generally, smaller trucks (12'-16') can hold 1-3 rooms and larger trucks (20'-26') can hold 3-7 rooms. If you are not sure which size you might need, call the company for suggestions. You can rent a car carrier, tow dolly, and cargo trailer from most rental companies. Each place has different rules about appropriate use, so it is better to call for details. If you are first time renter, you may have numerous questions. If you are unsure of what to ask, here are some ideas to inquire about: truck dimensions, weight, tires, fuel type, air conditioning, automatic or straight drive, 2 or 3-person seating, tank size, miles per gallon, ramp or lift gate, inside & outside lights, and the make. Ask about any discounts the company offers. I know mine offers 12% off for AAA members, 10% off for military/veterans, 10% off for college students, and 10% off for online reservations. It never hurts to ask to ensure you get the best deal! For local moves, all rental companies price the mileage rates and trucks differently. For one-way moves, you can get a package deal with some companies. This way you will have unlimited mileage! The day of the week and holidays also affect the prices, so it is better to call around and figure out who has the best deal for you. All companies offer insurance that covers you, other drivers, the truck, your cargo, and your car if being towed. Call your personal car insurance provider to see what they will cover first. Renters that are using the trucks for personal use are not required to purchase insurance, although it is recommended. You must bring your driver's license and if there are going to be other drivers, you will need their information as well. You will also need to show your AAA card or Military ID if you are receiving those discounts. And if you have it, bring your reservation paper. Many places will allow you to leave your car in their lot while you are renting their truck. If not, you will need to bring someone with you to move your car. Adding drivers cost a little extra, but if you ask, most companies will waive that fee. Every place is different, but you should always expect a deposit. Generally, it can range from $100 to $250, depending on whether you are using cash or credit. The truck rental agent is supposed to do a walk-around inspection with you before you leave. This is the time to check for pre-existing damage, fuel levels, mileage, cleanliness of the unit, lights, tow device instructions, ramp usage, and how to operate the lift gate. Don't be afraid to ask questions and don't sign the inspection form prior to the walk-around! Companies are trying to make diesel trucks safer for the environment. Therefore, many 22-26' trucks now have to have DEF, or diesel exhaust fluid to help break down those dangerous emissions. The agent should mark the level of DEF on your inspection form, near the fuel. It should be full when you rent the truck. If it is not full and the agent is unable to refill the tank, you can purchase some at many auto shops and retail stores. Keep your receipts and when you turn in your truck, the company will reimburse you right then. You will be given paperwork that has to stay in the truck while you are renting. There is always a 1-800 number to call if there is any issue. The company will work fast to fix any issue and get you on your way! If you decide to purchase and put in any needed oil, transmission fluid, windshield washer fluid, etc., keep all receipts. You will be reimbursed when you bring your truck back. Many companies offer assistance with loading and unloading your cargo for an additional fee. Ask any agent for details. Most personal use rental trucks are waved through weigh stations, but the rule of thumb is to stop at all of them when using the larger trucks (20' and above). You will need to fill up the tank to the level it was when you rented it. If you take it full, bring it back full. If you rent a truck that is not full, make sure the agent marks that on your truck inspection form. Bringing the truck back with less fuel will result in fuel fees that can get quite expensive. If you need to return your truck later than you expected, call your local agent or where you are supposed to check back in. There should be no issue, unless another customer has been promised the truck you are currently using, on the original due date. Make sure you know when and where your truck is due back. Find out the hours of operation of where you are dropping off your truck. Some places have a drop box and you may be able to turn in the truck after hours. Ask the agent when you check out where to park the truck and what you need to place in the drop box, aside from the keys. Before you drop off your truck, clean out the cab and cargo areas so you will not be charged a cleaning fee. Roll up all windows, turn off all lights, and lock the doors. Place any accessories, like hand trucks, at the front of the cargo area, closest to the door. If you require a cash refund, you can pick it up as soon as you turn in your truck. If the drop-off location is closed, you can return when the location is open. Credit card refunds return automatically to the card once the agent checks in the truck. Receipts can be physically picked up, or emailed if desired. Those were very helpful hints. Thanks for sharing them!! The UHaul truck we rented had a battery that went dead. UHaul came out hours later to replace battery they also gave us a 1 day credit with some haggling. By that time it was the evening and the 2 guys we were paying by the hour, were paid and were gone, leaving my daughter and I to complete the move the next day by ourselves. We were glad the 2 guys moved all the furniture and all we had were boxes, but it was alot of work. 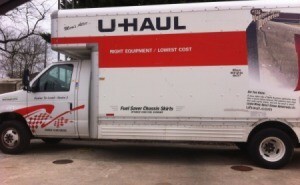 I think UHaul should have came out within the hour to get that truck working. This is one of those posts where there really isn't ever a bad time to read it. Thanks for your awesome blog.